Abfraction is a lesion that looks like a notch and can be found on a tooth at its gum line (or cervical area). It is not a cavity, which means that it’s not caused by poor oral hygiene or a sweet diet. 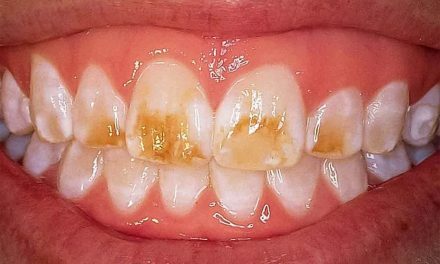 Although controversial, it is believed that abfraction is the result of micro fractures of the enamel and dentin at the cement enamel junction (collar of a tooth), which result from excessive or abnormal biting forces. Abfraction can have many shapes, but mostly it is classified as looking like wedge or a saucer. 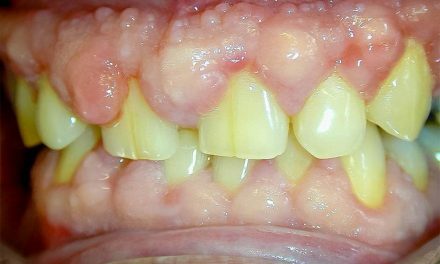 Abfraction is also different from other lesions affecting teeth, like attrition, abrasion, and erosion. A person that has an abfracted tooth can feel more sensitivity. This is because the exposed dentin is less dense than enamel and the underneath nerves can be more easily triggered to temperature changes in the mouth. 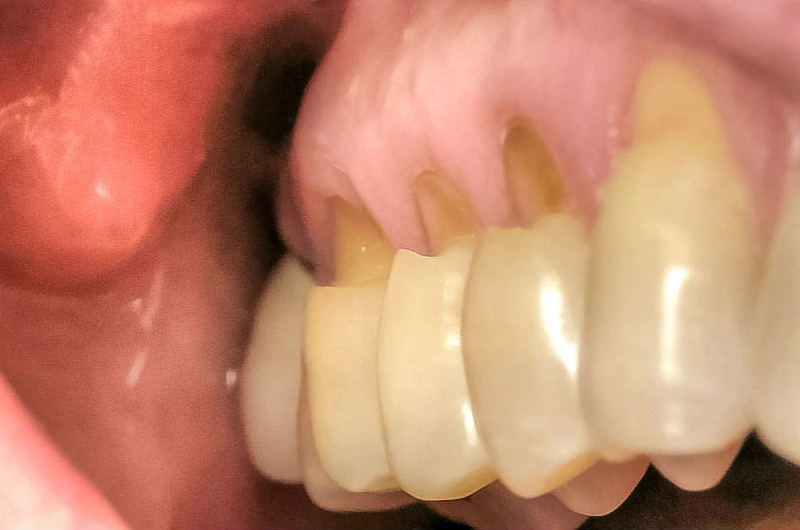 When a tooth receives an excessive stress during chewing forces, it tries to bend, which means it tries to move from its position to compensate; but the root is well anchored in the bone, therefore the tooth curves slightly. It is this constant flexing of the tooth which causes the enamel and dentin to separate from the collar, thereby forming a notch. Over time this notch grows more and more, progressing to the lesion of abfraction. Although abfraction remains a controversial issue, research is suggesting increasingly that excessive forces on teeth is the primary cause. If a tooth is misplaced in the mouth because of malocclusion, it could receive more stress from normal chewing forces. The ideal situation is that a person has all his/her teeth in the mouth, and that they are receive an equal amount of force during normal jaw function. A person suffering from bruxism (teeth grinding) is more likely to suffer from abfraction because abnormal forces are generated on teeth. Furthermore, bruxism causes even more damage on teeth, including attrition (wear of the tip of a tooth and their shortening). Lesions of abfractions do not heal with time. They may just get worse if nothing is done to correct the cause. Such lesions may be at different stages. 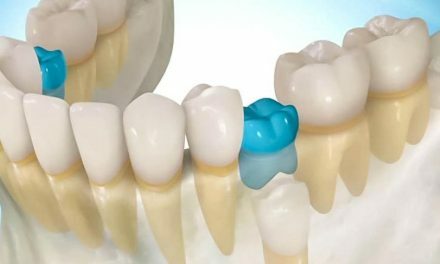 If the abfraction is very small (1 mm or less), there is no need to do anything on the tooth, except for taking care of what’s causing it. 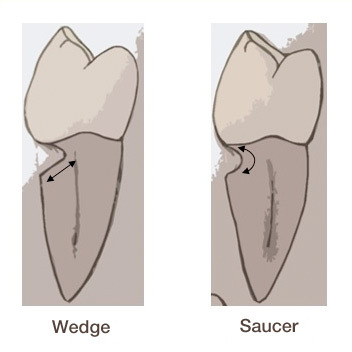 But if the abfraction notch is larger, or if it makes a tooth sensitive, or if it disturbs aesthetics, a white composite filling can camouflage it. It is also important to treat the main cause behind abfraction. If it’s because of a misplaced tooth that receives excessive masticatory forces, the tooth can be adjusted by filing it slightly so that it receives less stress. A dentist must of course execute this procedure. 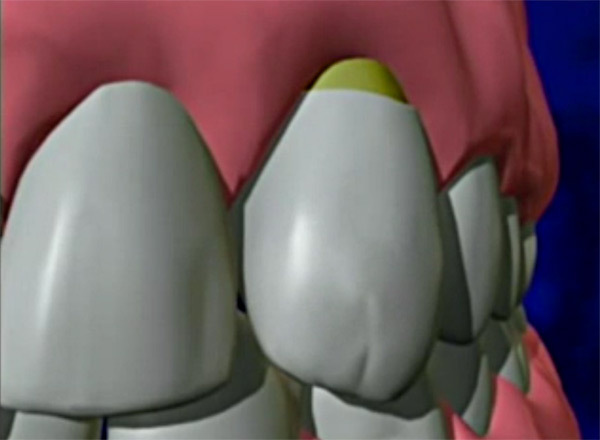 If several teeth were misplaced, orthodontic treatment would be a good option to align the bite. If grinding or clenching of teeth causes abfraction, a bite splint (mouth guard) should be considered. A bite splint is a device placed on teeth that should be worn especially at night, so that they don’t rub or clench on each other. By wearing the bite splint, less damage is resulted on teeth. It is important that a dentist makes this type of mouth guard. Prefabricated bite splints do not fit precisely in someone’s mouth and this can be harmful to the jaw over time. 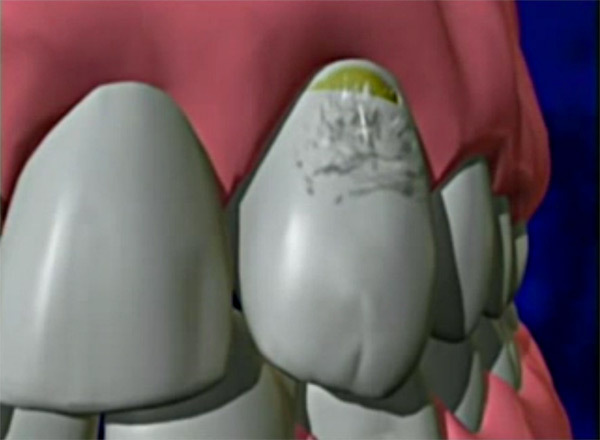 When abfraction is very large, it can make a tooth more fragile to fracture. 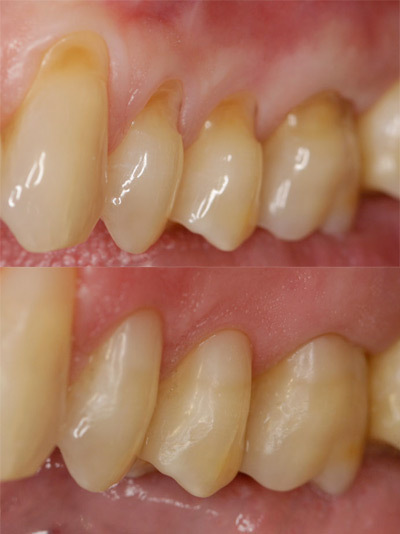 In rare cases where abfraction is very advanced, the tooth may require a dental crown. Simple Steps to Better Dental Health (Tooth Abfraction Lesions). Sarode GS, Sarode SC (Abfraction: A review). J Oral Maxillofac Pathol. 2013 May-Aug; 17(2): 222–227. Dr. Ian Bell D.D.S. (Composite Bonding & Fillings).